About the Book: Jacinda is a draki, meaning she is descended from dragons. She lives with her family with her draki pride and is the only known fire breather in generations. The pride has Jacinda's future planned out-marry the pride prince, mate and have fire breather babies. But Jacinda wants more and is always pushing the boundaries. When she goes too far, her mother makes the decision to leave the pride for good and escapes to a dry desert town in hopes that the dryness will suffocate Jacinda's draki once and for all. But Jacinda is drawn to Will, a dangerous draki hunter, who is the one person that may be the key in keeping her draki alive. 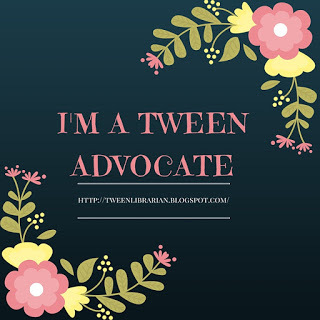 GreenBeanTeenQueen Says: I loved the premise of this book and thought it sounded incredibly unique, but unfortunately the story fell short. It started out with a lot of action, which I loved, and I really liked reading about Jacinda and her pride. But after a few chapters, this unique story about draki's turned into a "new girl in town meets hot distant boy at school" story and it lost all uniqueness it had going for it. The new girl storyline has been done so many times! I was more interested in the draki pride and I wanted this book to be more about that then a school story about a teen with a supernatural talent. The bits we got about the pride, I loved, and I really wish that had been the main focus of the book. But we barely even get to see them or find out much about them which I found disappointing. Jacinda is the narrator and her story mainly revolves around Will, how she's attracted to him but shouldn't be, and how she doesn't want to lose her draki. She's a pretty whiny character throughout and she waffles back and forth in her decision making which is frustrating for the reader. I didn't find any of the characters well rounded and I felt we never got to know anyone-even Jacinda. Her twin sister Tamra and her mom felt like she was just there for Jacinda to whine about. There were several characters that were mentioned, talked about a bit or even talked to in one scene but never did much. It felt like they were just there as an idea in the first draft but then forgotten about and never full developed. I would have liked to see more from Xander, Will's cousin-we're told to be afraid of him, but never really are shown why. And I thought there was potential to develop a great relationship between Jacinda and her elderly neighbor, but that's only hinted at and not delved into any further. But my biggest problem is that Firelight is a lust story, not a love story. There is no relationship developed between Will and Jacinda. Why do they like each other? They're both hot. They never talk, and when they do it's very brief, yet we're supposed to believe Will is in love with Jacinda and that Jacinda loves him so deeply she'd do anything for him. They spend more time making out than getting to know each other. Jacinda mentions that Will knows everything about her but I never got that at all. I like my relationships more developed and believable. I want to see why the characters fall for each other and I love to see how they fall for each other. Will and Jacinda are just two teens in lust with one another. Even with it's flaws, the draki idea was original and I really liked what there was about the draki mythology. That was what kept me reading. It's obviously setting up a sequel and not much is resolved or answered. 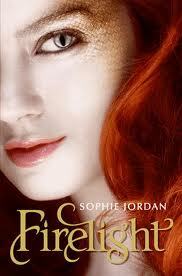 But Firelight is a quick engaging read, and I'm sure fans of star-crossed romance will devour it. Uh oh, I was hoping this would be a cool dragon read. Sigh, I still will try it since I've been talking with Sophie on FB lol. But I trust your judgement completely Sarah so I won't be surprised if I feel the same as you. This is on my to read list. I'll have to think about reading it. Thanks for the review. Just finished Firelight and I've been looking for a review that noticed the flaws that I found really glaring! The relationship between Will and Jacinda was just... meh. And there was so much more telling than showing throughout the plot. Abby-I know, the premise sounds so unique! I'll let you borrow my copy and you can let me know what you think. Melissa & Natalie-If you read it, do tell me what you think of it! Linna-I'm so glad someone else noticed! I want to know why the characters love each other-why are they attracted to each other? I want to fall in love with them too, and I didn't think that happened here.